First of all, I can say that this is hidden gem place. I didn't know that just behind Sephora (inside Starhill Gallery), there are Enak KL served such a soul food to their customers. Usually, I will walk from either Lot 10 or Fahrenheit and went straight to Pavilion, skipping the Starhill Gallery because I didn't have the urge explore what it is inside. But, thanks to Reef I have found a place full with positive people that day who loves food and talk as much as I do. 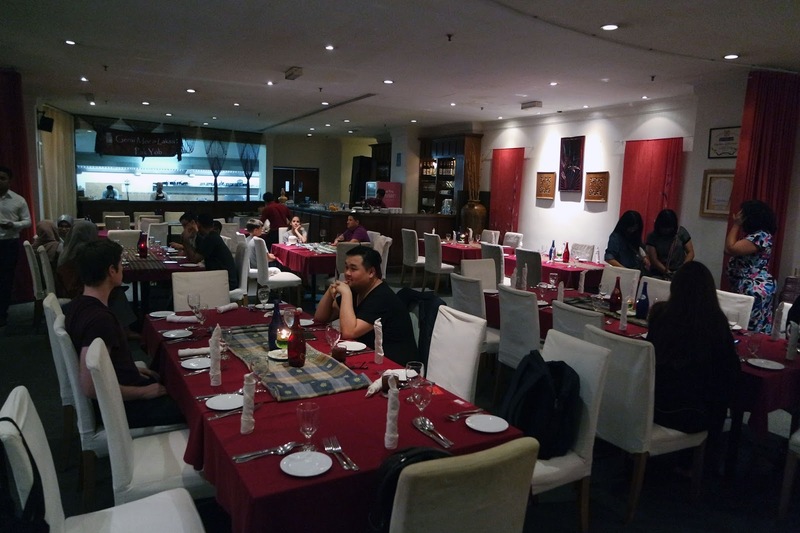 Enak KL have been in the heart of Kuala Lumpur since 2005, specially dedicated to Malaysian cuisine. 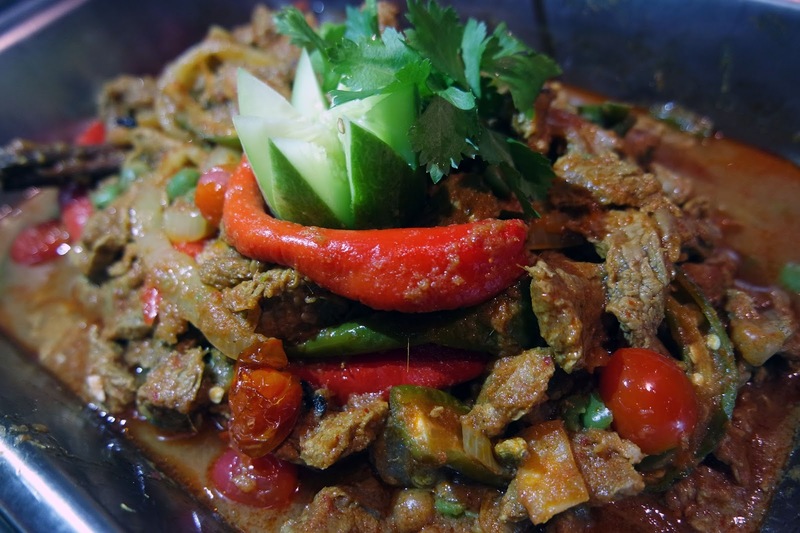 Their recipes is originally from older generation, and past it down the current generation which is to Sherena Razaly (the owner of Enak KL). From the recipe she picked which food to served to the guest very diligently. Food brings people together, families, friends, business associates and even acquaintances. Everyone needs to eat, to be feed and I love the idea that whenever people come to any of my restaurant that they will be taken care of. Whether by myself or my capable teams." 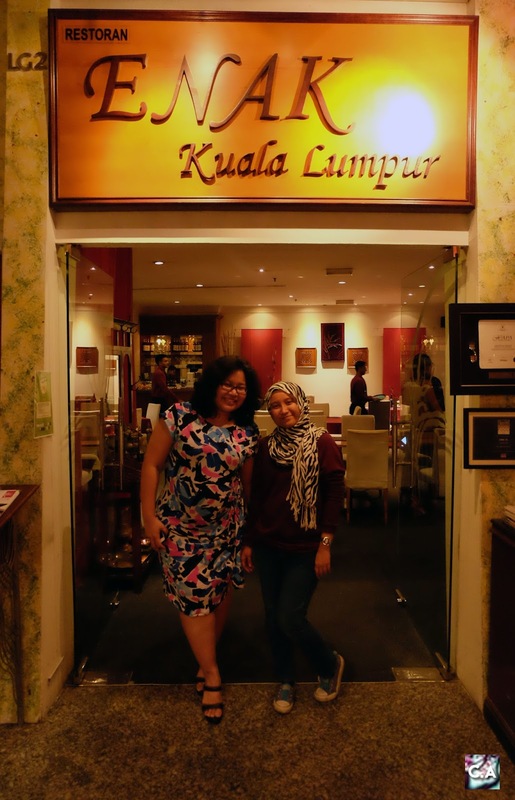 With the owner of Enak KL, Sherena Razaly! I let you to get into the environment before writing about FOOD. 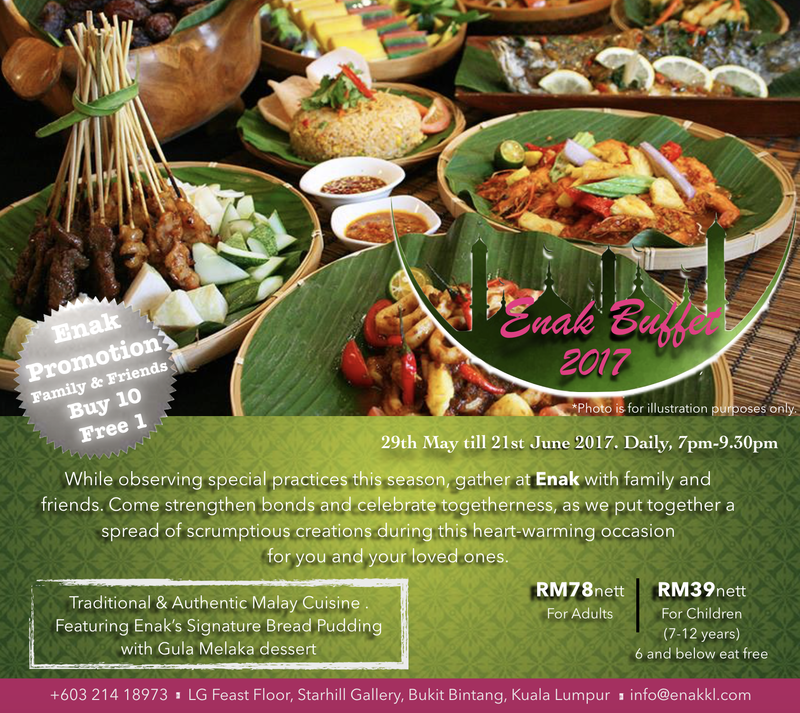 To start with the details, Enak Buffet will be available from 29th May until 21st June only and they are bringing back their signature food to you! 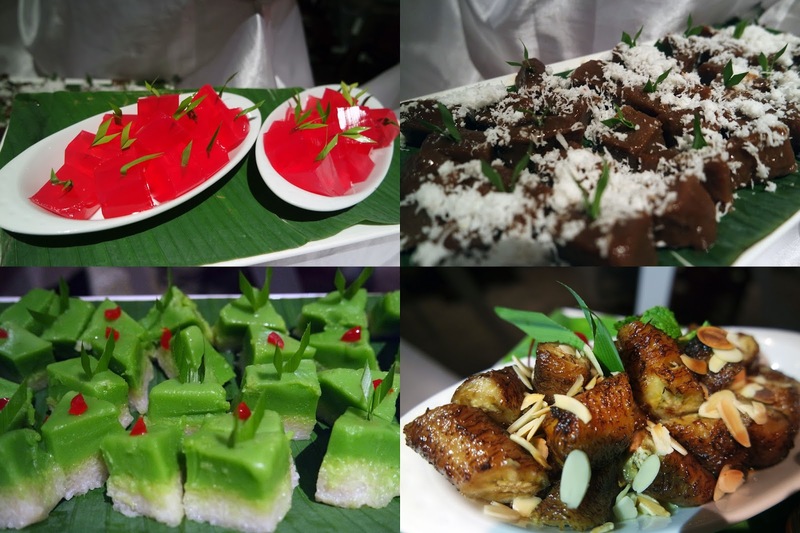 The guest will experiences simple but assortment of traditional and classic Malay dishes. 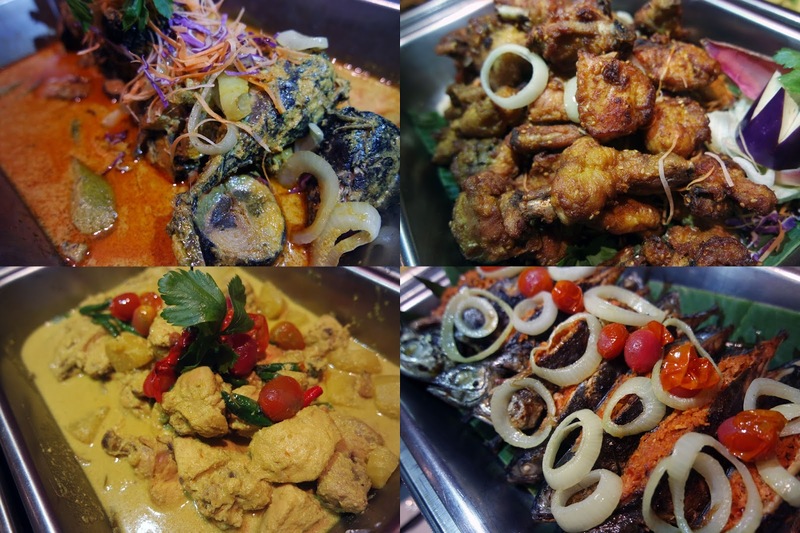 Not just that, the best part about Enak KL is their team will rotate the buffet throughout the week so everyone can enjoy their Malay delicacies during Iftar. This food that served from the heart offer a selection of hot and cold appetizers and mains, traditional refreshments, the best meats and freshest fish, and a variety of desserts. Without further ado, let's start reviewing the food! Spacey and Homie = Enak KL. 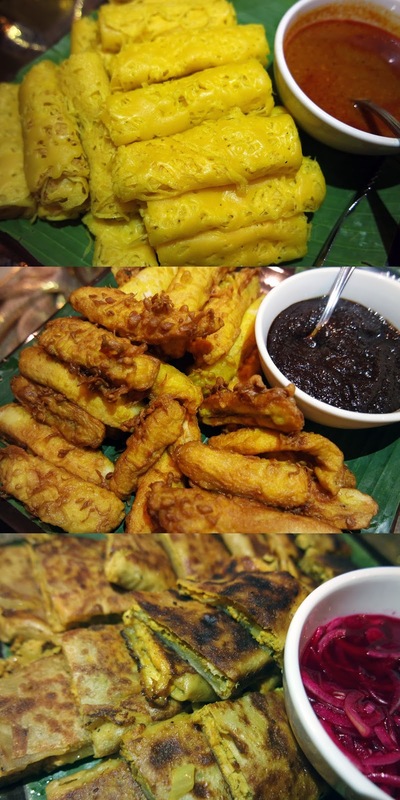 From Upper Left: Gulai Ikan Tongkol, Ayam Goreng Bijan, Ayam Lemak Cili Padi & Ikan Sumbat Goreng. The first thing that I grab like flash is rice and Gulai Ikan Tongkol. I don't know why, but my core is the rice. I take a peek of each of the stations but I'm focusing on getting my stomach fulfilled first (typical Aqalili). I would say the first round is a good first start. Then, for second round, I get their Enak Signature Bread Pudding. I know right, I'm skipping the meal courses, desserts should be the last one. But, it were truly recommended by all of my friends on the table. So, I have to get some before it finished. You know usually bread pudding will come with a caramel sauce individually. Oh, you don't need that when you taste Enak Signature Bread Pudding. What makes it even more special is they used Gula Melaka, so you get the taste of sweet, moist and this is the best bread pudding I have taste so far. But, I will be more happier if it will served it cold, some prefer hot but I love cold bread pudding. Enak Signature Bread & Butter Pudding with Gula Melaka. 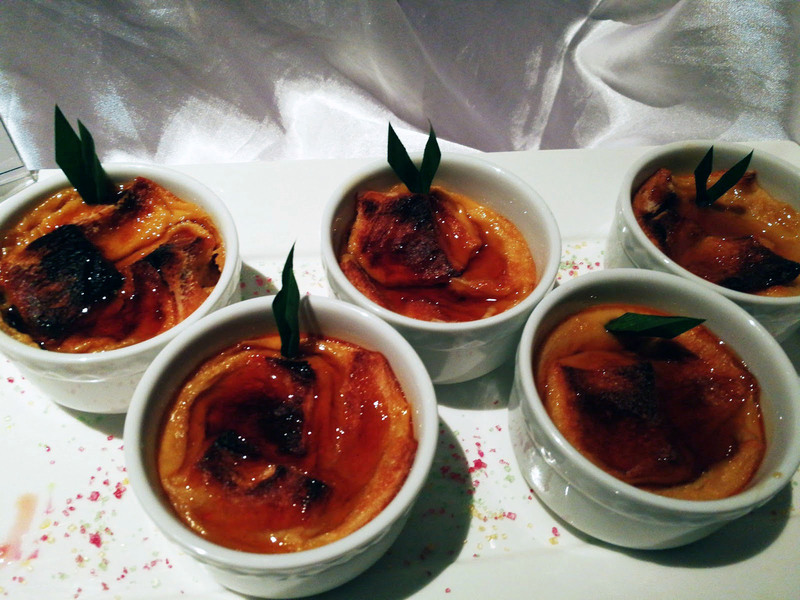 Besides the bread pudding, Enak KL also served a traditional and modern Malaysian desserts. Let's move on and break the rules and rewind back to main dishes. This is also recommended by one of my bloggers friends, Aunty Lilly. She suggest that I should taste Daging Merah Kacang Hijau. I was like 'Ha? Kacang Hijau? ', my mind just wandering and imagined that it will taste sweet and a little bit of nutty. But, naah it was all just imaginations. I would say this dishes is unique. The feast will continue automatically without you even realised and here is to never ending food list that I ate. Looking by the colour, you will get the idea that it will not be flavourful. But, again I was wrong because it just taste good and I can't stop eating it if I haven't ate too many of rice. 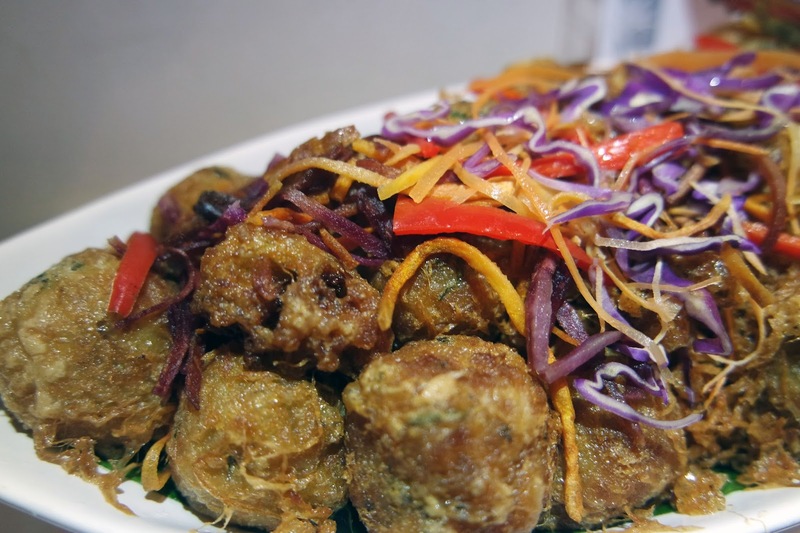 What makes it different than Pisang Goreng? This was eaten with sambal. Or I would say Pisang Goreng Johorean style. I rarely eat pisang goreng with condiments, but it was a good combination, the sambal are just good (not too sweet, not too spicy). Surprised seeing laksa on the menu? Actually it was not on the buffet row but they served it at the other side of buffet. Usually when I ate Laksa, I will put 'Petis Udang' (Shrimp paste) to add more flavour. But you don't need it for Enak KL Laksa, just ate it like that it still taste flavourful (sweet, sour and just a little bit of spice). Bergedil is a smash potato shaped into a ball and then fried. You can add anything (chicken or fish) according to how you like. I love my mom Bergedil, she usually made a fish Bergedil and this remind me of that even I'm not sure what type of Bergedil it was. I just want to confess that I'm proud of what I ate on that day (the amount). Plus, with a great company and host, I felt like a family. It was the best experienced for me because while I was eat each dishes, Sherena will tell us a story either about the food or even how she get the recipe from (thanks Sherena mom!). She also tell us a funny story and personal story about her life, which I found very inspiring. Thanks Sherena for having me on that day, I really appreciate it a lot. For all of you, make sure to come to Enak KL because they currently offers a 'book 1-, free 1 promotion'. The price for the buffet is RM78 Nett for adult and children for RM39 Nett. For more information, or to make a reservation, please call +603 2141 8973 or email info@enakkl.com. Location: LG2, Feast Floor, Starhill Gallery, 181, Jalan Bukit Bintang, 55100 Kuala Lumpur. 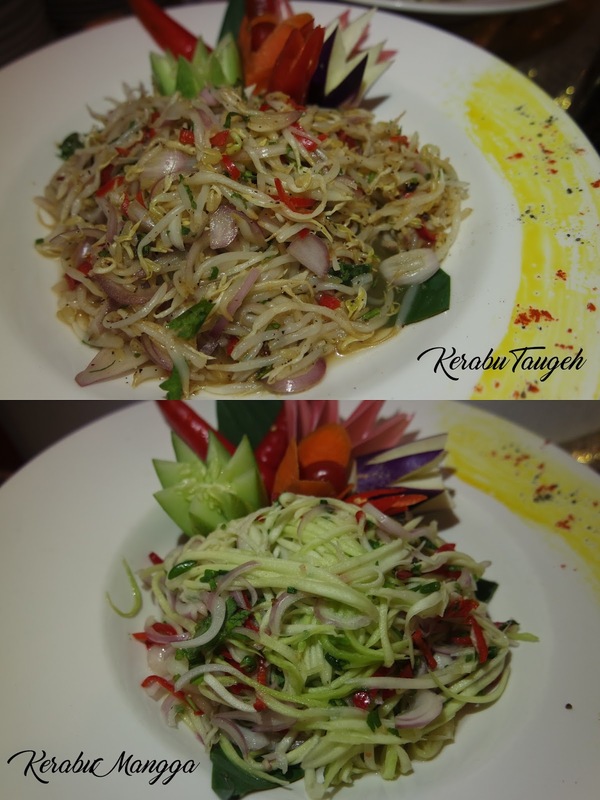 Kerabu Taugeh! Kerabu Mangga! Lai Lai!